The first castle I saw was a pile of rubble in a Scandinavian forest. It was no more than overgrown rocks on the top of a hill. I would have passed over it without a sign to stop me. Vikings built it, or maybe their ancestors, and once their longships raided as far south as Istanbul. 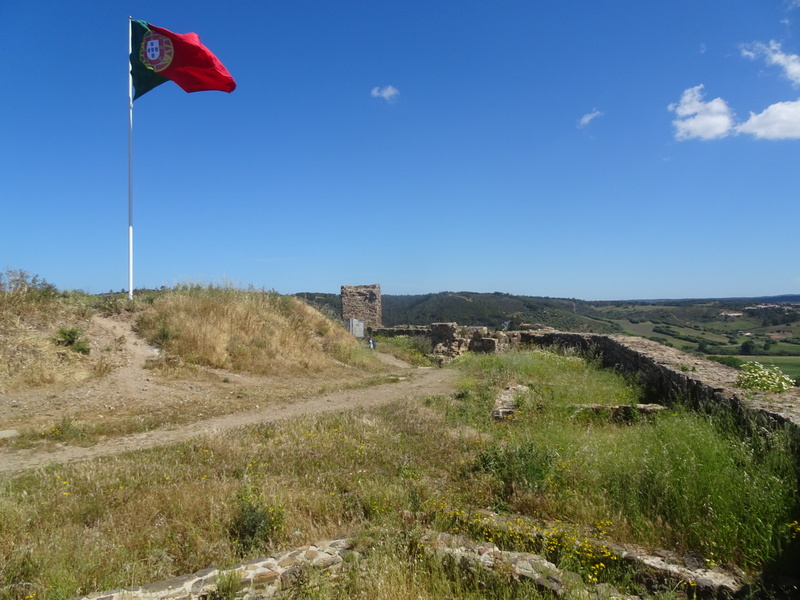 Moors built the castle in Aljezur back when their civilization washed over the Iberian Peninsula. The castle walls and a few crumbling towers still stand guard over the city. I climb up one rampart and stand in the wind to look out at the small city. The walls are not alone. Remnants of the Moors are strewn across southern Portugal and Spain. Names, castles, palaces, food, and culture, all grains of sand washed ashore and left by a retreating wave. I hop down off the wall and out the castle gate. Its a beautiful sunny day. The sky is blue and waves are pounding against the giant cliffs off the coast. I walk happy, following the wave’s retreat south, waiting for that day when I see Africa rising from across the ocean and I know the end is near. Yes, civilizations come and go..the ocean wrestling with land remains. I am happy you are looking forward to the journey’s end. I remember after your kayak adventure you didn’t want to kayak for a while. I think the miles on that one are close to this walking journey. Are you going to tell me you don’t feel like walking for a while after this?